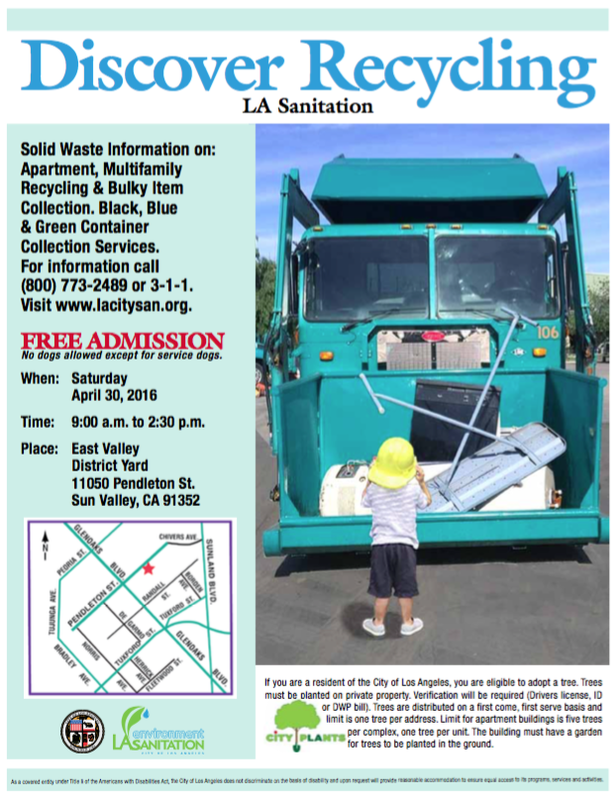 This Saturday, April 30th, at the East Valley District Yard in Sun Valley, LA Sanitation will be hosting "Discover Recycling" where families can learn about recycling and collection services and also will be able to adopt a tree. Trees will be given out on a first come first served basis and must be planted on private property. Free admission!